David Probert has come a long way since his love of riding was fired by competing at Gymkhanas and in pony races as a young boy in his native Wales. His mind was soon made up to try for a job in the horseracing industry and, having in 2006 completed a nine-week course at the British Racing School in Newmarket, he joined the Kingsclere yard of trainer Andrew Balding. 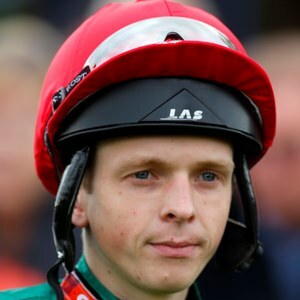 He has been there ever since, and in 2008 shared the apprentice jockeys championship with another Balding protégé, William Buick. He has yet to win a Group 1 race but has twice won the Group 2 Oettingen-Rennen at Baden-Baden in Germany and in 2014 took part in the Investec Derby for the first time, finishing eleventh on Impulsive Moment. In 2018, he guided Tip Two Win to second place in the QIPCO 2000 Guineas behind Saxon Warrior.